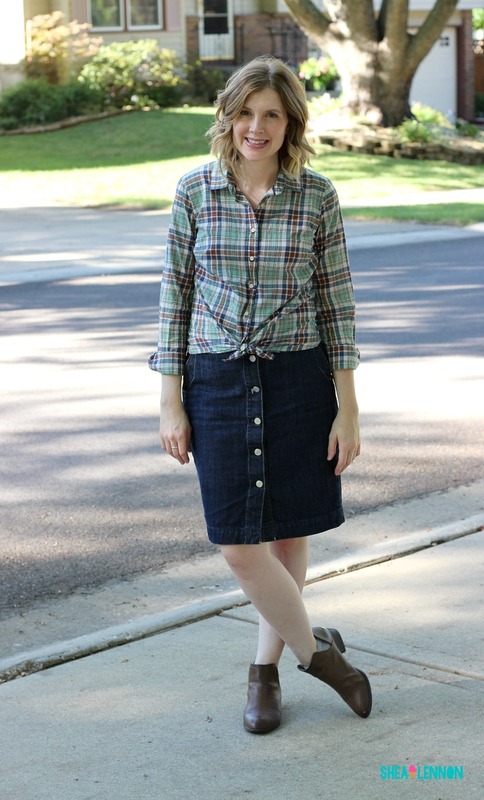 When I put this outfit on over the weekend I realized that both my shirt and skirt are secondhand items. 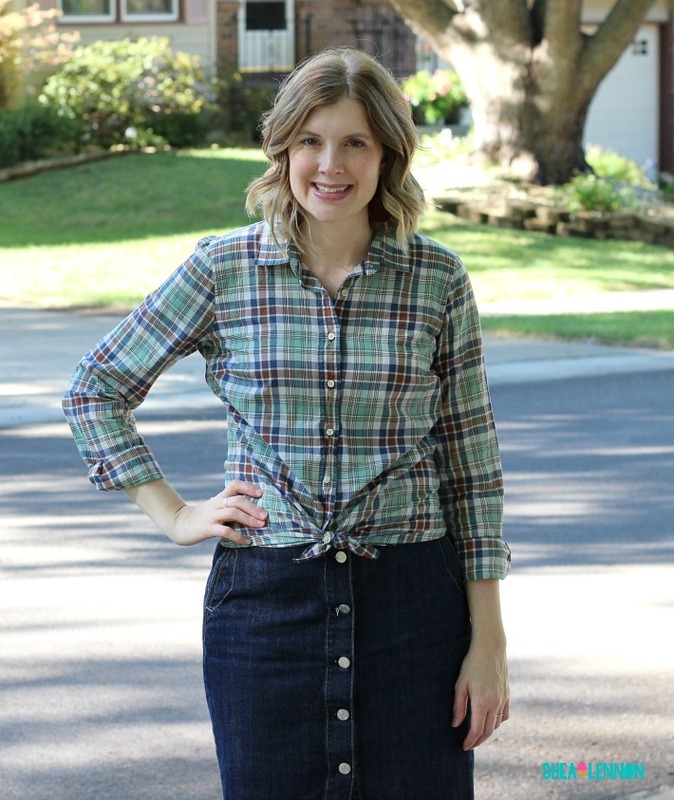 In fact, as I was looking over my fall closet options, I saw several items that I scored during my "secondhand shopping challenge" last year during this time. Several of the items I found then are still favorites now. I haven't done much secondhand shopping since then, unfortunately. While I would love to browse the thrift stores, I admit that it's not something I make time for. 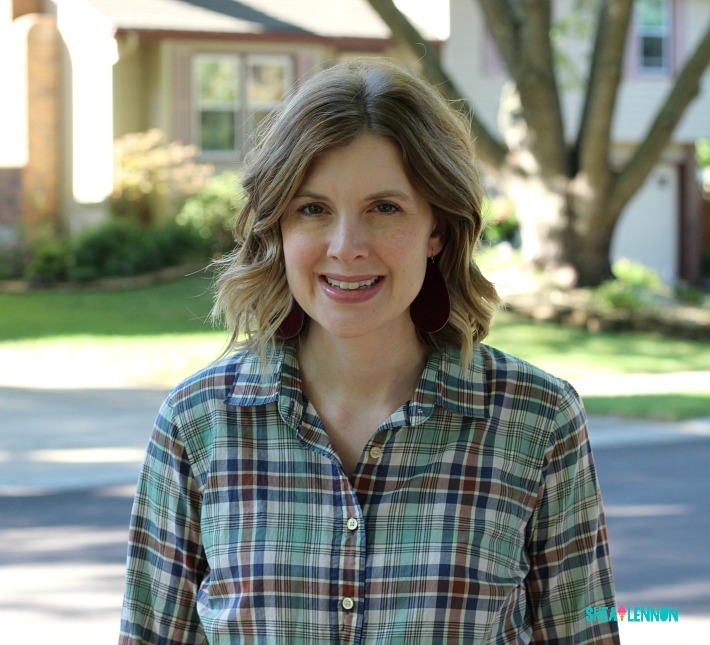 I love the option of shopping secondhand online, which is why I've always loved ThredUp. I've done quite a bit of browsing there lately, but I haven't done any purchasing. It's not the selection that's holding me back; I consistently find several things I love at a great price. However, more and more it feels like the convenience they offer has its own price tag. I noticed they started adding a "restocking fee" to their items, which means if you return it you have to pay $1.99. 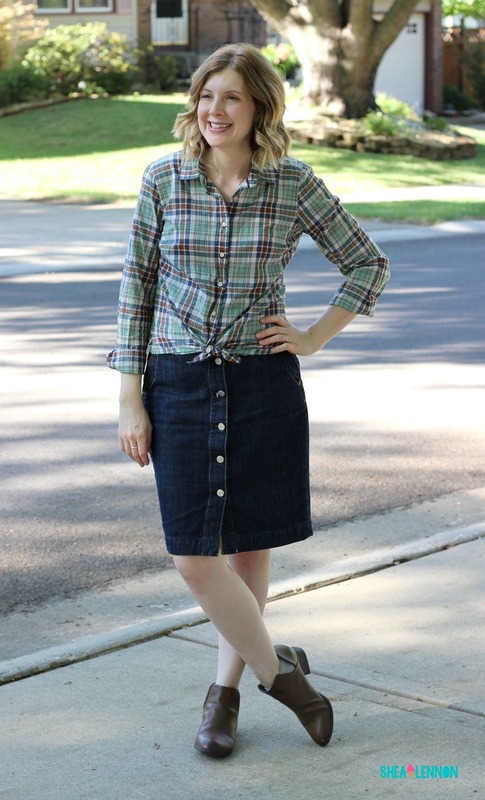 One thing I always loved about ThredUp is the ability to shop secondhand from home and then return if an item didn't work out; not being able to try on an item in person is one of the risks of online shopping, especially thrift shopping. Two dollars isn't a lot, but if you are purchasing multiple things (which you have to do if you want to qualify for free shipping at $75!) it really adds up. I'm just not sure it's worth it anymore. Am I being too cheap? I hope to find time to do some in-person secondhand shopping this fall. Are you a secondhand shopper? What are your thoughts on buying secondhand online?